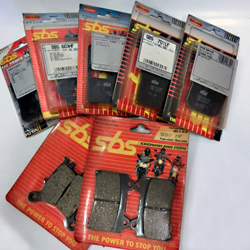 SBS brake pads with a reputation for stable stopping performance. Sales by special prices of several pads which fitting model year is older. There are some of the dirty packages, but these are new. Of course, to hear replacement it. 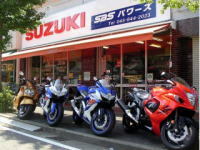 The wage is different depend your motorcycle, so please ask us. Sales oil filters! We recommend to exchange the oil filter once every 2 changes of engine oil. List price ￥810　→　￥405　50％OFF !! ES flashily is a glossy coating which is easy to paint out and wipe off after bike wash. The body painted surface gets shiny as a wet. The sheet and plastic parts looks moist but no slip. Protects the surface from insects, dust and rain and makes it easy to wipe away dirt. We recommend using it repeatedly.